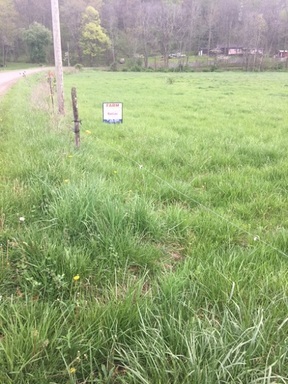 $700,000---(125 Acres -subject to survey) on Kinsey Orchard Rd, FREEPORT. Farm & Minerals. Lots of potential. Bottom land w/some timber, pasture land & outstanding hunting. Borders Stillwater Creek Northwest of the village of Freeport. New drive entry. Would consider splits/ no less than 25 Acre parcels /subject to cost of survey. 40% of oil and gas mineral rights will transfer. Currently, subject to lease with Diversified Oil and Gas with Clinton Formation production (Reeves well) . (JRM 17A-AG). Call 'JIM' at Freeport office, 740-658-3960 or toll-free, 888-834-3677.